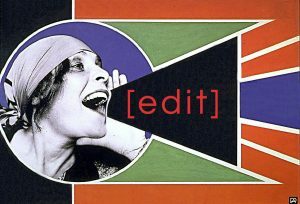 Temple University Libraries are hosting an Art+Feminism Wikipedia Edit-a-thon on Friday, March 3 from 1:30-5:00 PM in the Digital Scholarship Center. We will start with tutorials for beginner Wikipedians at 1:30 PM, but we invite you to drop in at any time and join us! The Art+Feminism Wikipedia Edit-a-thon is an international communal updating of Wikipedia content on subjects related to art and feminism. Universities and cultural institutions around the city of Philadelphia are hosting edit-a-thons throughout the month of March, where participants will gather in one place to edit, add, and improve Wikipedia entries. Register here, arrive with your laptop or device, power cord, and ideas for entries. It’s that simple. We will provide tutorials for beginner Wikipedians, reference materials, and refreshments. Since 2014, over 280 Art+Feminism Edit-a-thons have taken place across the world, creating and improving an estimated 4,600 articles. Join us to broaden that reach in 2017!